An axing of controversial plans for toilet charges and a £300,000 'deep clean' of Sunderland city centre have been set out among spending plans by Sunderland City Council. The council's revised budget proposals for the next financial year will go before the city's ruling Labour Cabinet on Wednesday of next week. Controversial charges to use Sunderland's public toilets were proposed in November among spending and income plans - sparking an outcry - but these have now been dropped. Council chiefs said a first round of proposals had been examined in November and was put out to consultation with the public, trades unions, businesses and other city stakeholders. Updated proposals in the revenue budget for day-to-day spending in 2019/20 have now been put forward. • Funding of £2.76million in the Social Care Support Grant to support pressures in both and adults and children's services. • An extra £100,000 for each of the five area committees - Coalfield, East, North. West and Washington – which decide and support their local projects. In East, for example, councillors recently invested £42,000 in ten VAS (Vehicle Activated Signs) to help reduce speeding and improve community safety. Cabinet Secretary Councillor Paul Stewart said: "All councils continue to have their budgets squeezed tighter and tighter. "In November, we looked at a first round of ideas and proposals for what could be the 2019/2020 budget. These were taken out to consultation and at Cabinet we now have the next round of proposals. "We had feedback for more cleaning in the city centre, and for a ‘deep clean’. Plus, in light of the concerns expressed both through the budget consultation and further comments about the possibility of introducing public toilet charges, this proposal has now been dropped. "We are continuing to review all our goods and services to save money and increase efficiencies as under austerity the council has to make many more difficult decisions." The council has a funding gap of more than £54m for its revenue budget over the next three years. Since 2010, more than £290m has been taken out of council budgets under Government austerity programmes. Like other councils, it is also experiencing increasing demand for its adult and children's social care services. 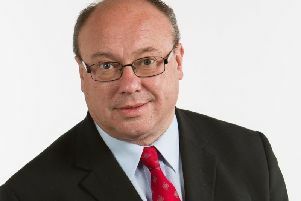 Coun Stewart added: "The council works hard to keep investing in our city, keeping it clean, safe and green, and helping our most vulnerable residents, both young and old, but the room for manoeuvre is getting smaller and smaller." Sunderland City Council's Cabinet meets from 2pm at Sunderland Civic Centre in Committee Room One on Wednesday February 13.